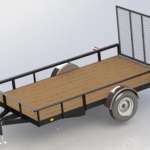 This Standard 12 Ft Utility Trailer would cost you $1,000 or more if you went out and purchased it!? 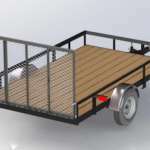 Build your own trailer, save money and get a higher quality trailer. These professionally designed plans show you how! 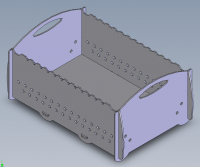 12 Ft Utility Trailer Plans come with fabrication shop drawings, individual piece part drawings, all information on utility trailer purchased parts. 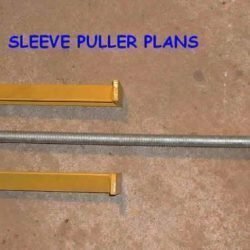 Notes with suggestions on where to obtain salvaged axles PLUS steel for construction and more!
? General Trailer Information, state tow laws, safety, wiring diagrams and more! 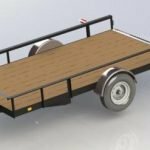 BUILD YOUR OWN UTILITY TRAILER! 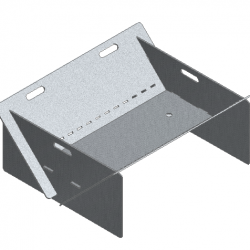 Trailer is designed with heavy angle iron frame, with Channel frame tongue. Fenders with DOT approved lighting.? The 2″ square tube axle with 3,500 Lb. leaf spring suspension.